Sometimes learning from our mistakes is the best way to learn. How about learning from someone else’s mistakes so you don’t have to make them! Each year Laura invests in her business expertise and enhances this course based on this, adding in new content. This course gives you many hints, tips and ways in which you can make setting up and growing your business that little bit easier (& faster if that’s what you’re after). It takes time, energy, focus and some investment to get your business up and running. In the start up phase it’s all about maximising any investment you make, setting up strong foundations & systems and letting people know you’re there! We’ve had quite a few requests for an additional course on how to set up your own coaching business. So, we’ve designed this course with these people in mind! It’s perfect for you if you want to learn from Laura’s experience, research, knowledge and mistakes, saving you time and money! Whether you’re looking to set up a coaching business alongside your existing income or if your goal is to go self-employed, you’ll learn LOADS from this course. 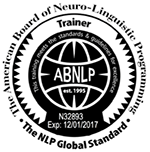 Please note that this course does not replace the Making Sales Easy with NLP course, it is in addition to it! Cashflow is the biggest killer of businesses in their start up phase. We want our delegates to be hugely successful in whatever business they set up and so come along and work with others in a similar place to you, as we work together to understand your products, services, business flow, potential revenue streams, formulating your offer, branding, launch and more! This course gives you huge value in terms of setting up behind the scenes – business plans, managing your book keeping, merchant services, registering a business, premises, equipment and more! If you’re already in business and want some additional knowledge, tips and advice on how to run a successful Coaching business you’d be very welcome to join us. If you are already in business but have not yet run a Coaching business, you’d find this course extremely useful. If you’re thinking of setting up a business that is not Coaching related, you’d also benefit from the course (although all the examples on the course will be Coaching based, you can easily translate them into other business sectors). What’s covered on the How to Start and Run Your Own Successful Coaching Business Course? Generating prospects/potential leads – for free! The course content is being added to all the time. Laura is committed to sharing with delegates what is and isn’t working right now in her NLP business so that you can benefit from this knowledge. The investment for these invaluable two days is £500. 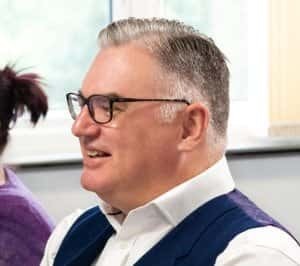 If you wish to book both the “How to Start and Run your Own Successful Coaching Business” and the “Making Sales Easy with NLP” courses then we will reduce the cost of the Sales Course from £500 to £250 for you. This makes a total investment £750 for the pair of courses. Why book our How to Start and Run Your Own Successful Coaching Business Course? There are many reasons why people choose our courses. Some choose us for our high standards, quality of our trainers and courses – ‘you explain everything clearly and it’s easy for me to get it’. Some book with us because they have been referred to us by previous delegate, or that we teach in a way that means you can put things into practice straight away. This course is full of ‘how’ to material. You’ll walk away with a course manual full of resources, hints & tips. Laura loves delivering this course and is passionate about sharing what’s currently working for her (and what’s not). You’ll be hard pushed to find a Trainer who’s willing to share so much (by comparison you’ll notice very few other trainers run these style of business courses – why? …. we can surmise, but here at Unleash Your Potential we want you to be successful and we’ll go out of our way to help you do that). What will I learn on the How to Start and Run Your Own Successful Coaching Business course? The investment for these invaluable two days is £500 (inc VAT). If you wish to book both the “How to Start & Run your Own Successful Coaching Business” course and the “Making Sales Easy with NLP” course as a package you can purchase both courses for £750 (inc VAT). At Unleash Your Potential Ltd we believe in offering our customers increased value when booking additional courses. If you book your How to Start & Run your Own Successful Coaching Business at the same time as another course (such as your NLP Practitioner, Coach or Masters course) you’ll save money. The more you book the more you save!! Contact us for details. As soon as you invest we will send out your confirmation of booking. The beauty of this course is there is no-pre course study, so you can just join us on the two days and soak up the course content. You’ll find us approachable, helpful and friendly all the way through your experience with us – we can’t wait to see and hear how you can use what you’ve learned to improve you results! Our aim is to offer people a highly valuable and quality experience. To ensure that this is possible, we limit attendance at these events to a maximum of 18 delegates. We anticipate high demand for these high quality courses, therefore we encourage you to ACT NOW! – you can check out our next available course dates on our Course Schedule page. That’s simple, anyone who is an NLP Practitioner, Master Practitioner or NLP Trainer who is interested in setting up and running a successful business! You’ll find value in the course if you already run a business, but haven’t run a Coaching business before. 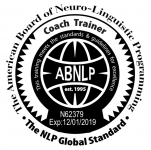 Equally if you’re an NLP Practitioner (or above) and want to successfully run a non-Coaching based business you’ll find value in this course also (do bear in mind that the examples on the course will be aimed at those running or wishing to start running a Coaching based business). Of course it’s perfect for anyone who wants to set up a Coaching, Therapy or NLP training business and hasn’t previously run their own business.